To the surprise of no one, Detroit City Council on Tuesday signed off on a $104 million tax break for Ford to rebuild the Michigan Central Station near downtown Detroit. The project is slated to become the hub of Ford’s autonomous and electric vehicle efforts, and it’ll come to fruition with the very generous help of Detroit taxpayers. The council approved a community benefits agreement, which spelled out a $10 million investment for education and workforce training programs, real estate development, and $2.5 million for affordable housing projects, reports Crain’s Detroit Business. In return, the city will “relieve Ford of $104 million in city taxes” over the next 35 years, as Crain’s put it. Ford, we’ve noted previously, has at last count $17 billion in cash reserves. The Renaissance Zone designation is a 30-year break on Ford paying Detroit’s corporate income tax and utility tax that will begin in the sixth year of the 35-year period, according to the Detroit Economic Growth Corp. But as we reported last month, that $371 million net-benefit projection hinges on the assumption that Ford’s addition of 2,500 employees to the area will, by virtue of existing, create an additional 2,500 “indirect” jobs in the area, meaning workers at coffee shops, bars, and more. It’s, effectively, a guess. Council members offered squishy approval for the tax break, buying into the argument that it’s going to theoretically generate more revenue for the city that it wouldn’t have had otherwise. “Overall, I’m going to support it because there is money the city will be receiving from this project that otherwise the city wouldn’t received because the building is just sitting over their vacant,” City Council President Brenda Jones said, according to Crain’s. It’s a tremendously complicated effort to weigh the cost-benefit of corporate welfare deals, and that’s indeed the case here. Perhaps it materializes. But what’s certain is that Detroit’s missing out on $104 million it would’ve had going forward, if Ford paid the cost itself. 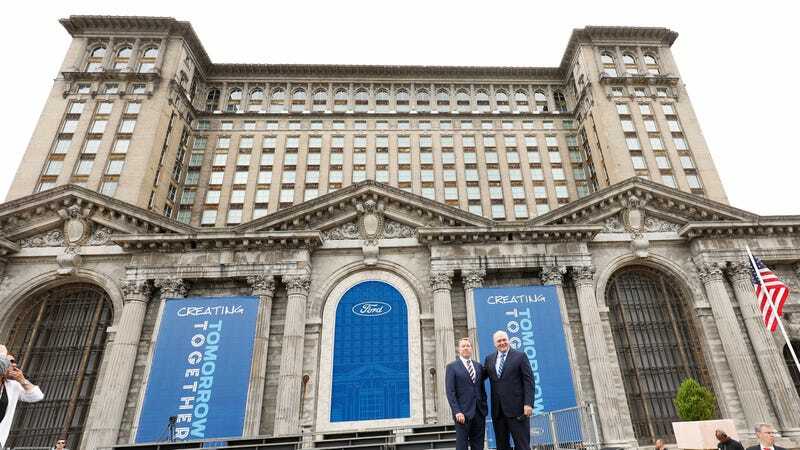 Quick Question: Did Ford Buy A Building This Week?